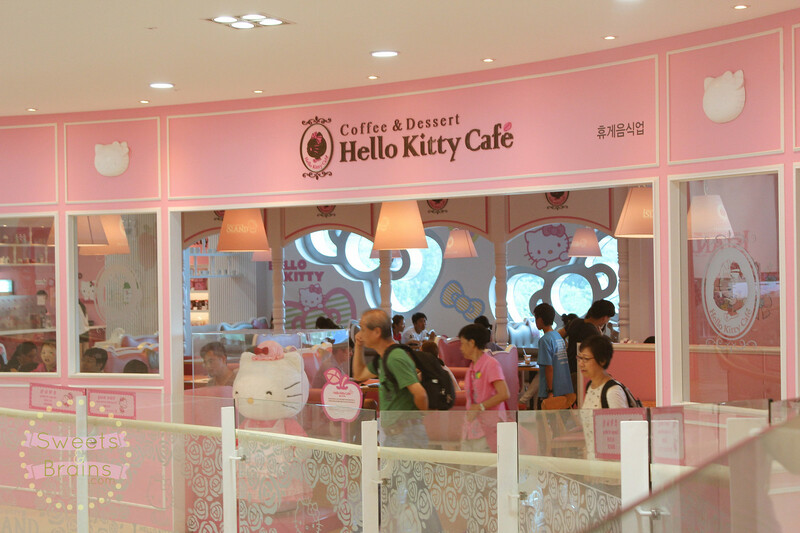 Before I came to Korea I’ve already put going to a Hello Kitty Cafe on my to-do list. 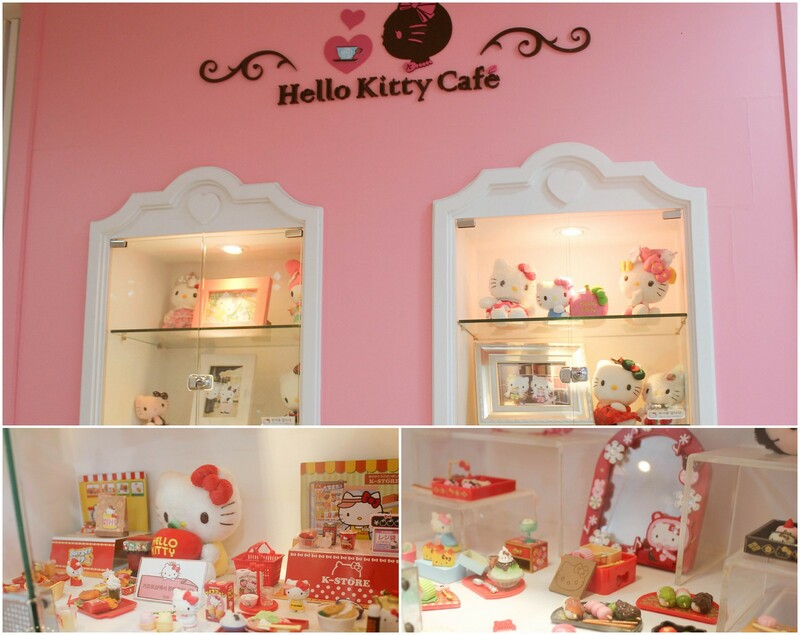 Once upon a time a Hello Kitty themed cafe opened in Auckland and I totally spazzed over that (sadly, that cafe isn’t Hello Kitty themed anymore). 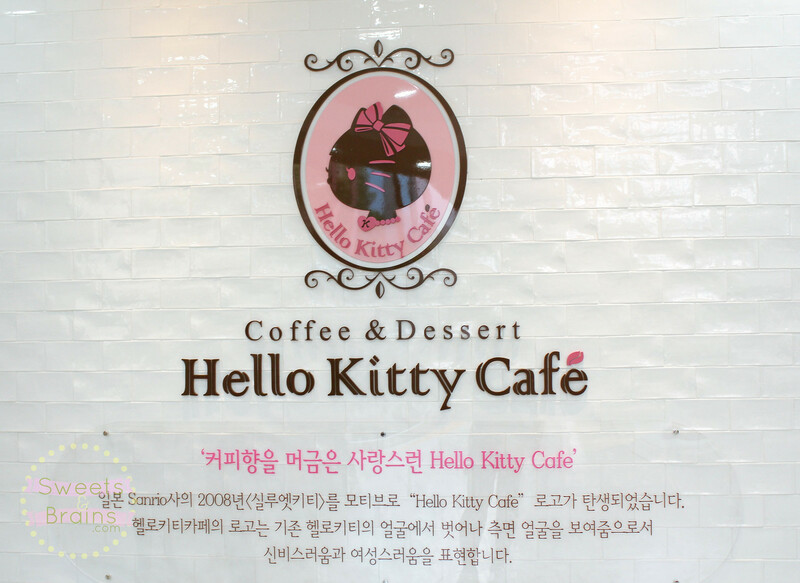 I vowed that I must must must at least once in my life go to one if I ever go to Korea. Bwahaha it’s fun to tick of bucket list items like these. 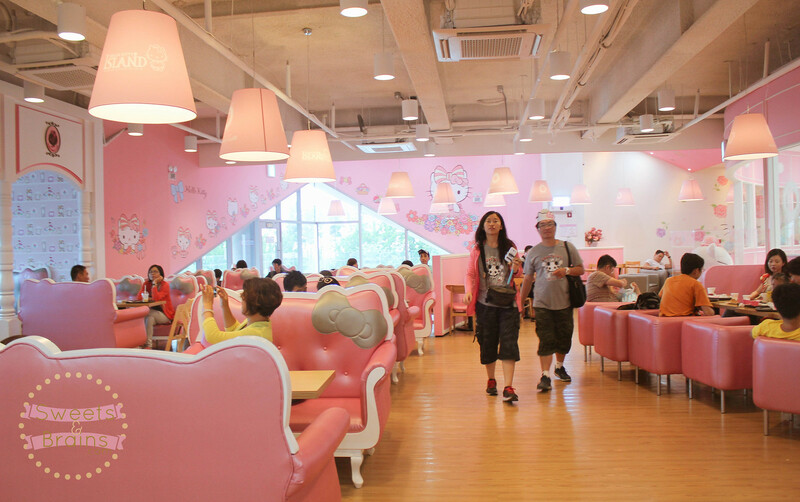 This Hello Kitty cafe is on the 2nd floor of Hello Kitty Island in Jeju. 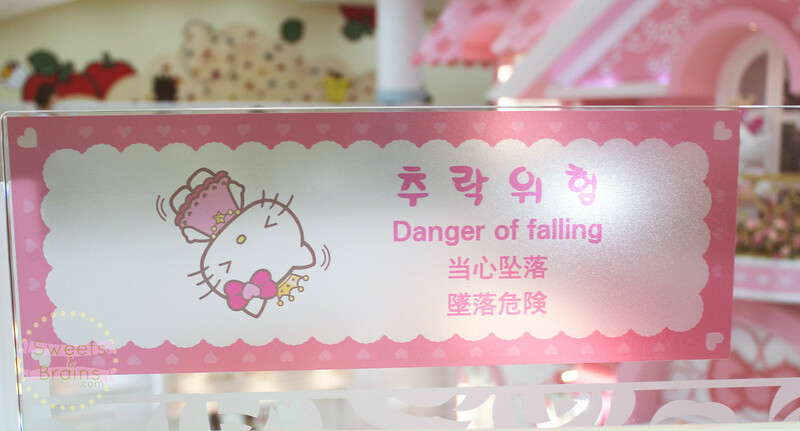 Danger of falling…in love, that is. 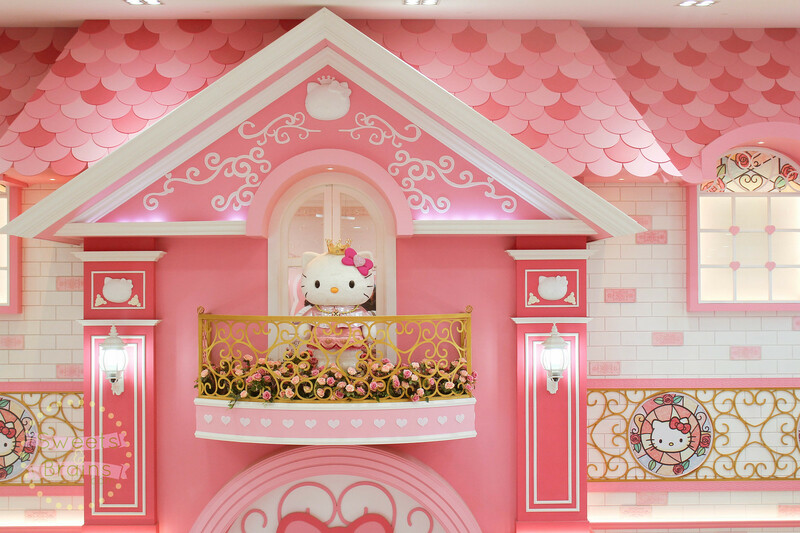 After feasting your eyes with countless photo ops (check out my previous post on the rest of Hello Kitty Island) with all things Hello Kitty you can splurge on some actual feasting. 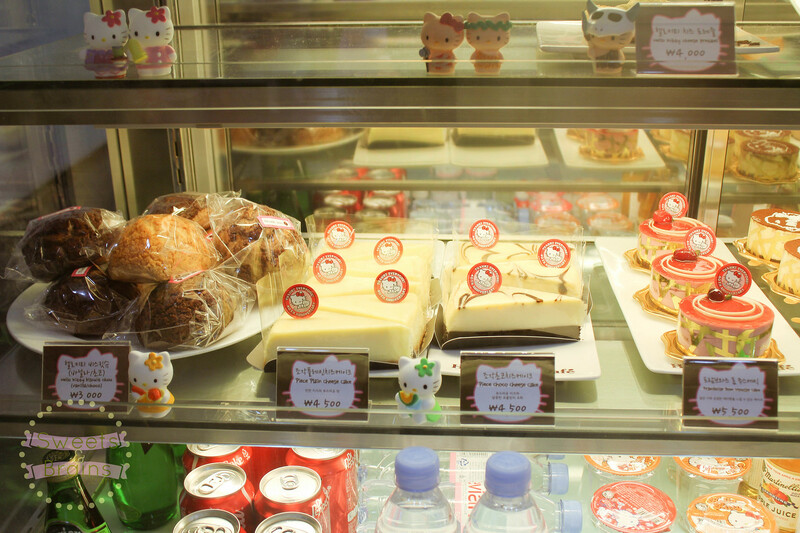 I say splurge because the Hello Kitty cake was flipping 11 bucks. Hahaha. 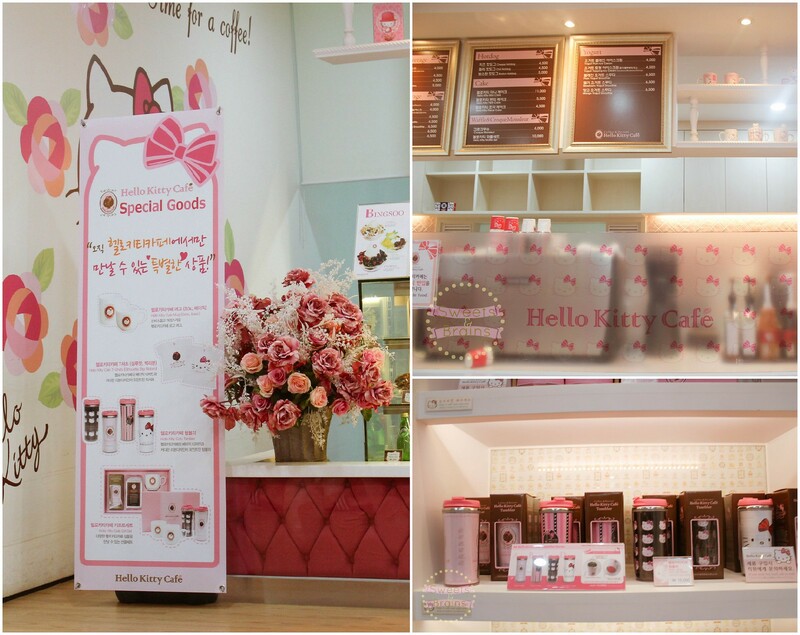 A collection of miniature cuteness are displayed by the entrance…and of course, merch merch merch. 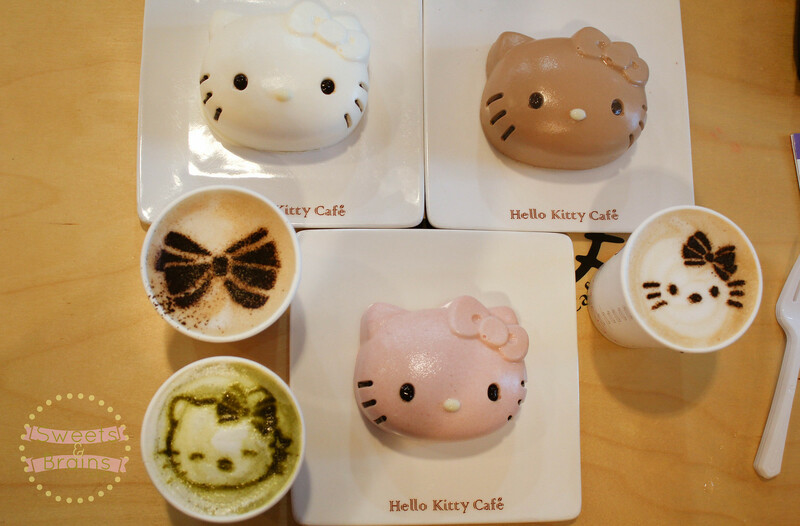 Oh the glorious Hello Kitty-fied sweets. 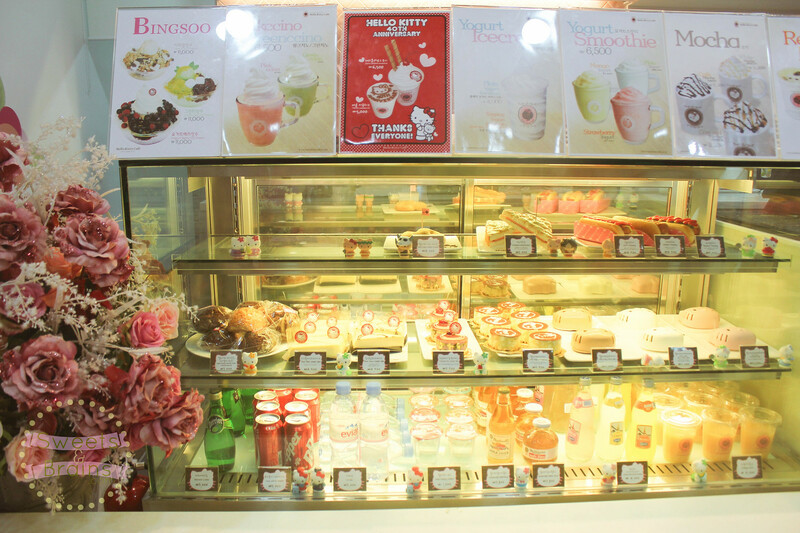 Choosing wasn’t really that hard. We know what we came here for. 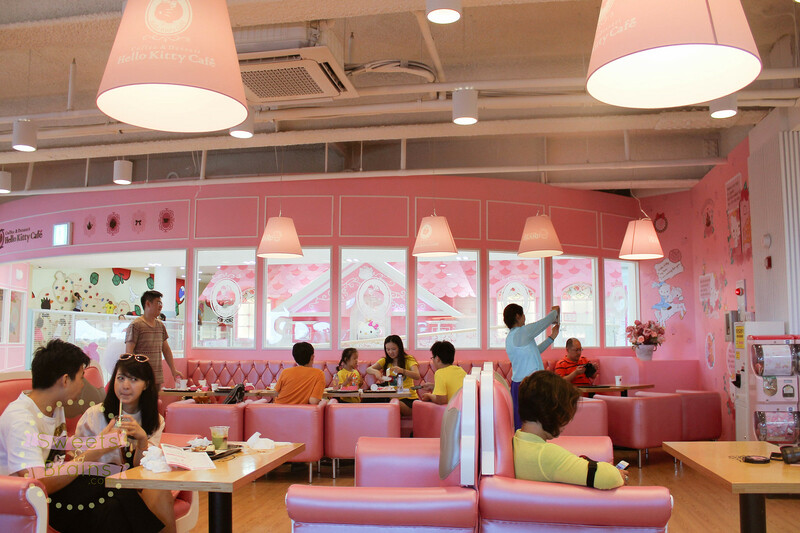 After ordering we settled into one of the pink couches and fangirled a little more on just about everything in this place. I mean come on. 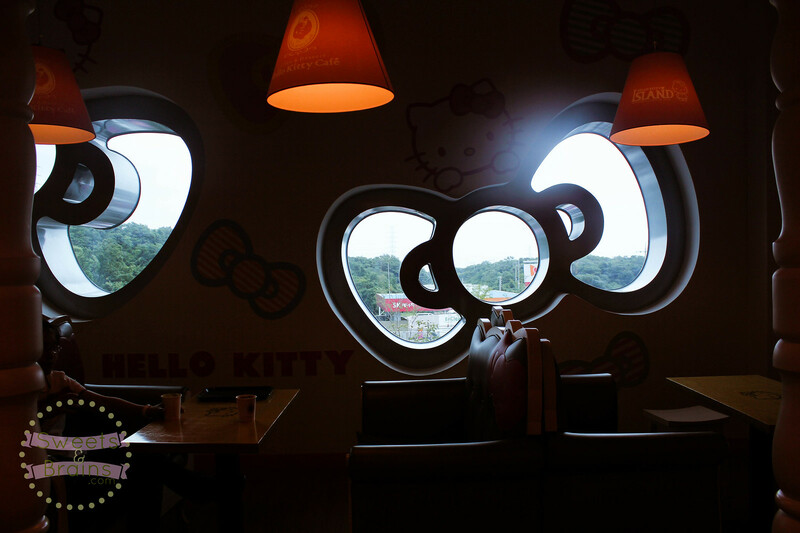 Look at those windows. I didn’t care that it was 11 bucks really. 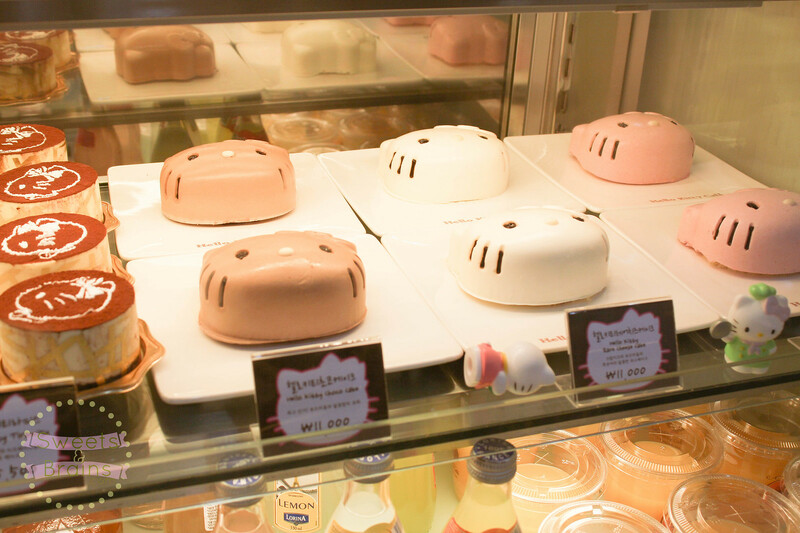 Agggh they’re so cute it took as a while to convince ourselves that we bought these to devour them. 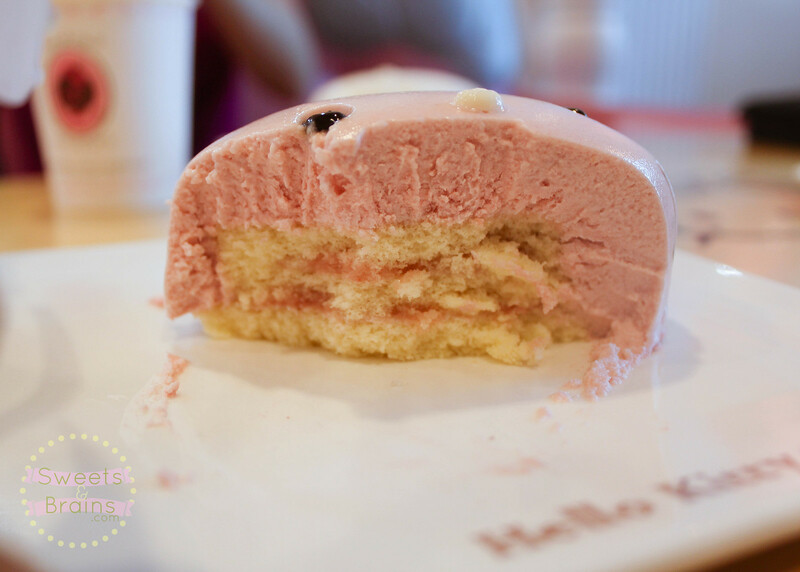 And how perfect is it that I came with two friends so between the three of us we got all of the Hello Kitty cake face flavours haha. 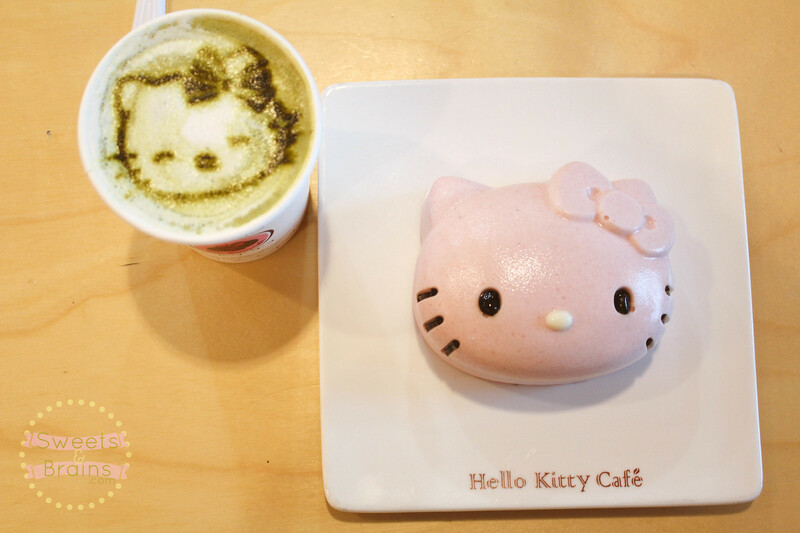 I got the strawberry one and a green tea latte. 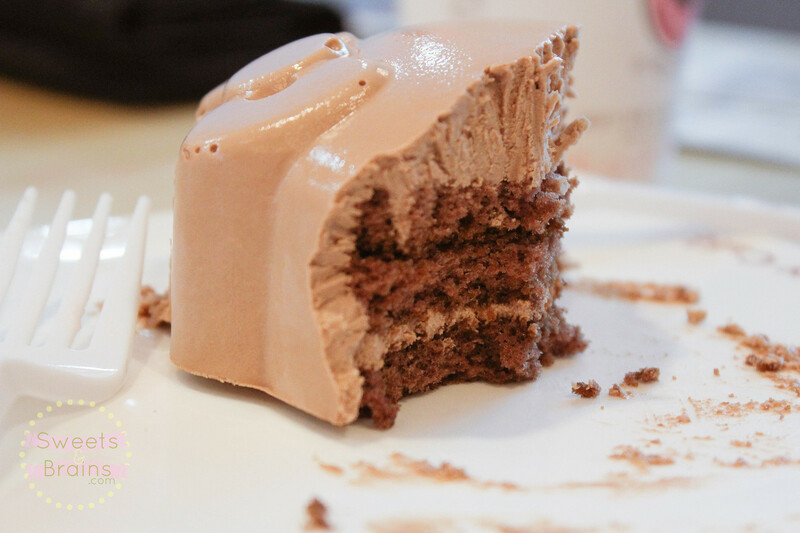 The super duper smooth icing on top of the cake is actually really light and not that sweet. 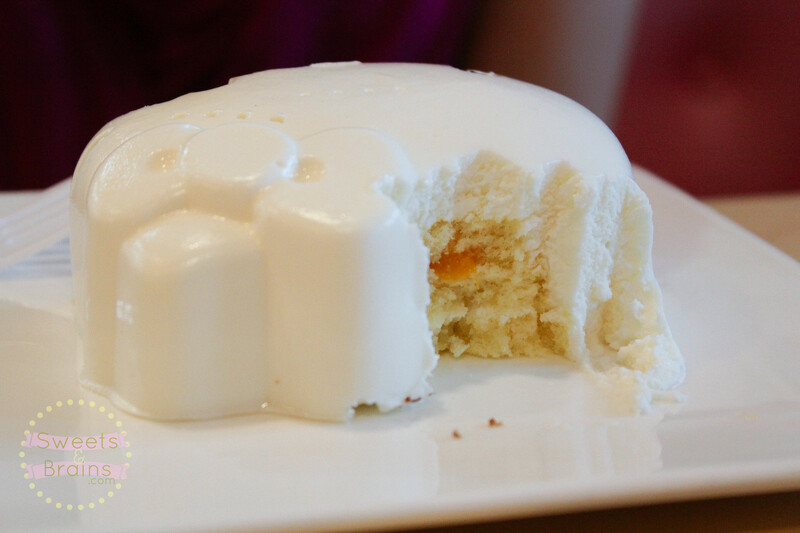 The cake itself is light and moist with jam-like filling sandwiched in between layers. 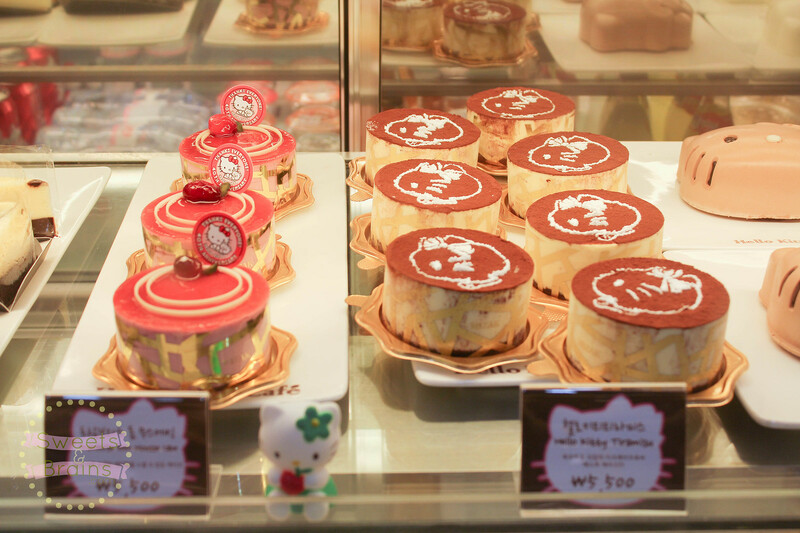 Nothing was overwhelming, it’s a simple flavoured pleasant cake of kawaiiness. 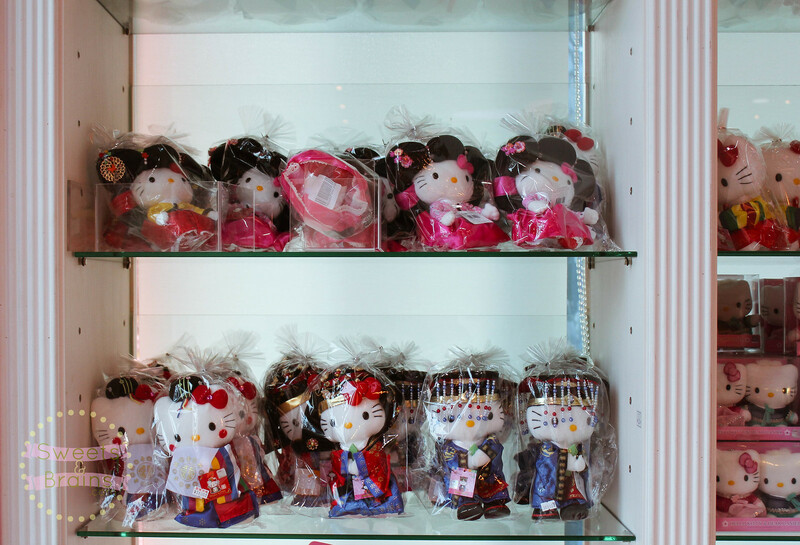 After our wonderful afternoon tea, we strolled to the gift shop. It’s always the last stop because you can’t go back inside once you’re in the shop. 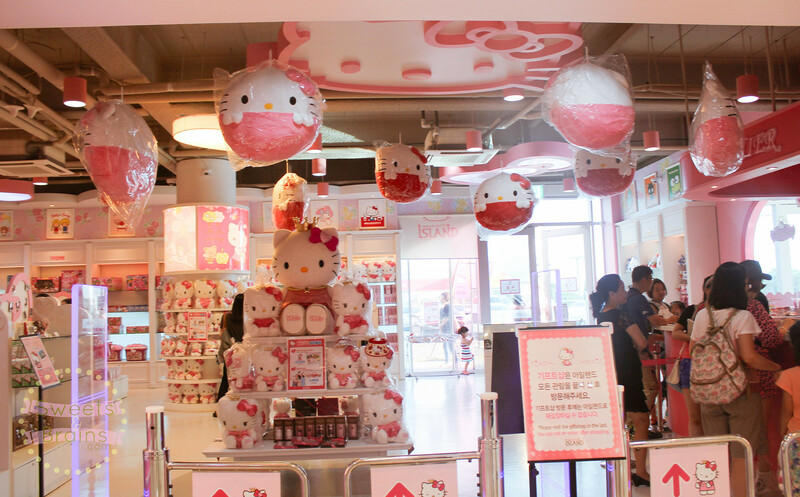 There were a lot of things I wanted to buy. A lot of things I really didn’t need (what I kept telling myself). 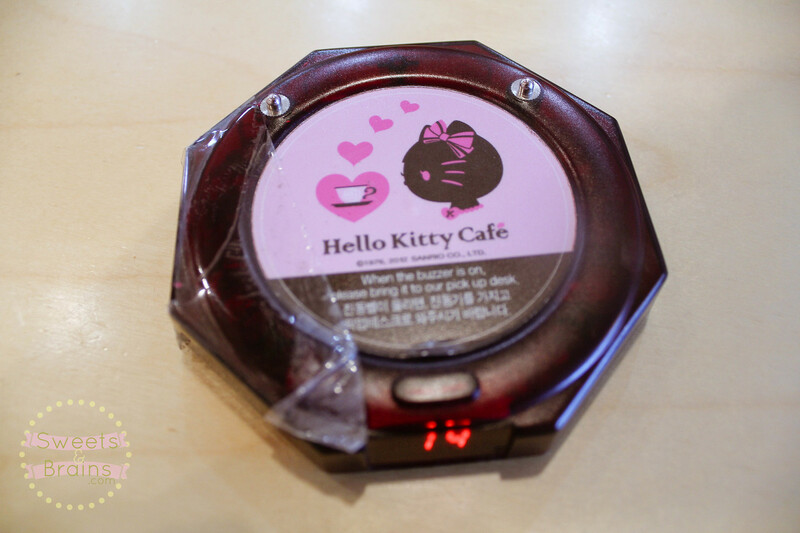 Let’s face it, I really wouldn’t have known where in my luggage I will fit anything extra when I left Jeju. I couldn’t leave empty-handed though. Hahha. 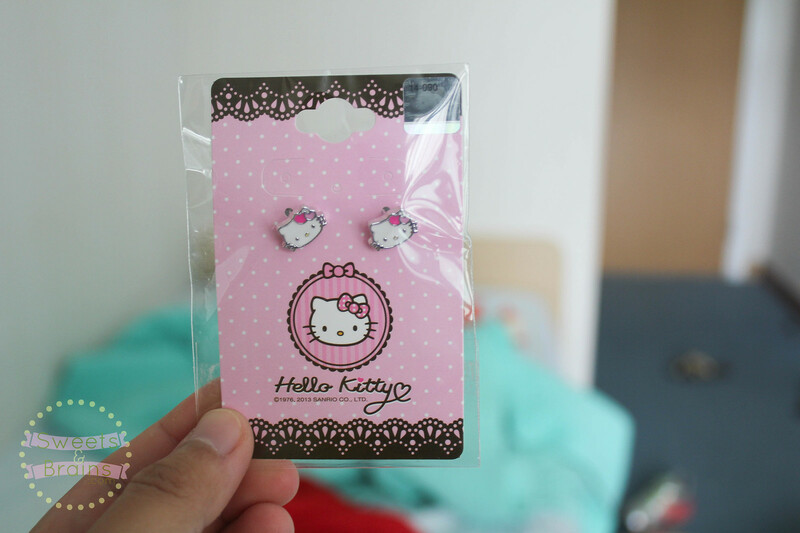 So I bought myself these little earrings. Oh yeah. Easy on the pocket and luggage space. 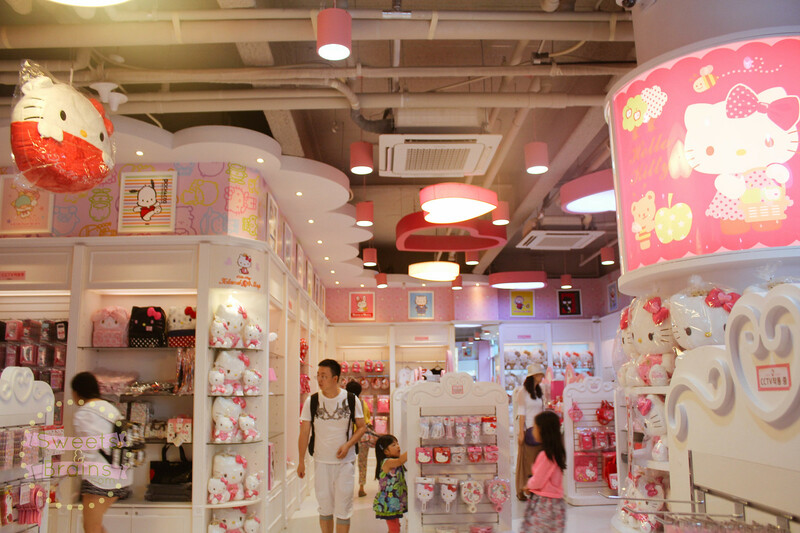 So yeah that was my Hello Kitty experience (part 1 here). I hope you enjoyed the pictures as much as I enjoyed taking them. Will post more of my adventures soon. See ya! p.s. 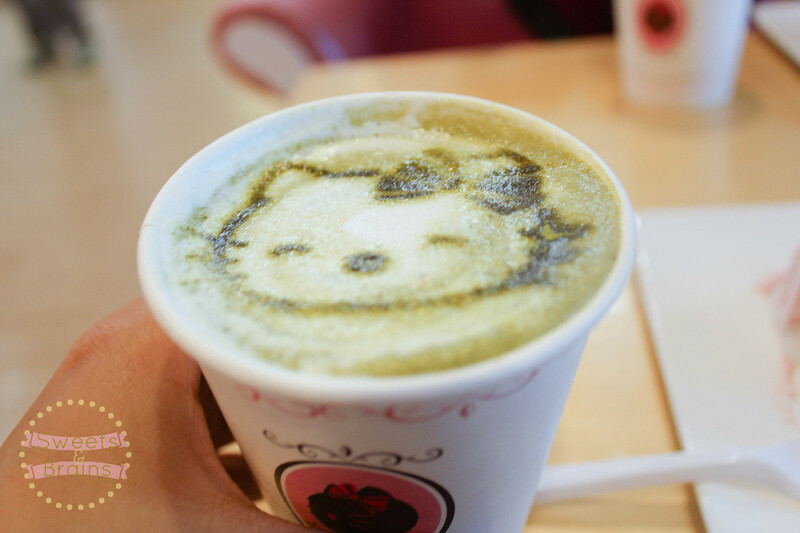 Hi, Nelllls. It’s me, Pat, loool. Hihihi Hiii Pat! It’s me Nelli hehe. 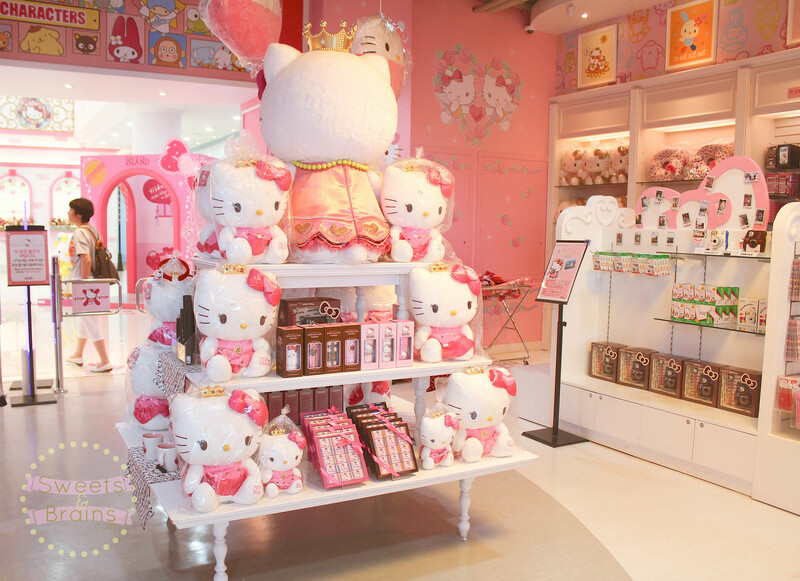 Cannot get enough of pink haha. 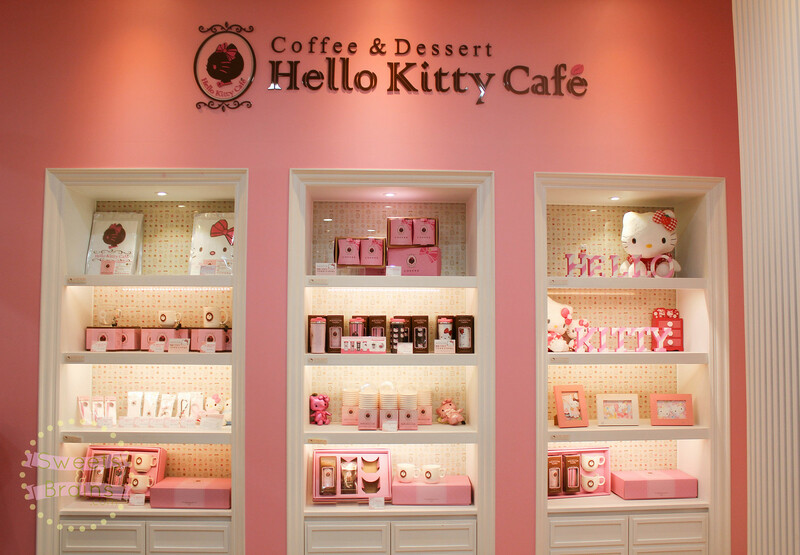 Oh I want to go!!! !